One month from today my latest book will be released–October 6. 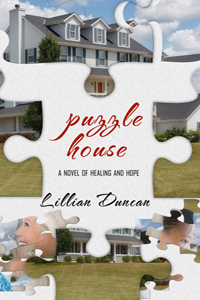 PUZZLE HOUSE is near and dear to my heart but is different from my usual fast-paced suspense and mystery novels. However, that makes sense. I’ve been living a different sort of life for more than five years. My life was turned upside down when I was diagnosed with brain tumors and a genetic condition known as Neurofibromatosis Type 2 (NF2) in 2012. That’s what Rachel Summers, the main character of PUZZLE HOUSE says when she’s diagnosed with it! So what exactly is Neurofibromatosis Type 2? I’m glad you asked! It’s a rare genetic condition that allows tumors to grow anywhere on the nervous system, but especially in the brain (almost always on the auditory nerve and vestibular nerve) and the spine. The Rare Disease Act of 2002 defines a rare disease as one that affects 1 in 1,500 people. So exactly how rare is NF2? About 1 in 25,000 to 40,000 people have it so as you can see it’s extremely rare which is why you probably haven’t heard of it either. The tumors are almost always benign, but there’s two meanings for benign. One being non-cancerous and the other being harmless. The good news is that my tumors are not cancerous, the bad news is they are definitely not harmless. You might think Puzzle House is a really depressing story, right? I certainly hope not. My first goal when writing a story is always to entertain and that’s true with this one as well. In fact, the subtitle of the story is a novel of healing and hope. I’m not going to give away the plot but I’ll give you a little hint. While unconscious after an auto-truck mishap, Rachel has a very special visitor who asks, “Do you want to be healed or to be a healer?” She makes her choice and that’s when her adventure begins. I’ll be having more posts and information about PUZZLE HOUSE in the coming weeks but for now, I’d like you to know that it’s available to preorder on Amazon at the following link– PUZZLE HOUSE I hope you’ll take a moment to look at it and preorder it. And the winner of Jan Elder’s book, A Semi-Sweet Summer is…. Congratulations! Better luck next time to everyone who didn’t win. Maybe next ime. I love the way God shows up when I’m writing a new story! Unlike many writers, I don’t create an outline before I write. I think about it and then I sit down and write. I started working on what I thought would be a Christmas novella (for next Christmas not this year.) but it seemed very dark. A baby is kidnapped a the beginning of the story. Not a light topic–nothing fun about that. I like my Christmas novellas to be suspenseful but still show the Christmas spirit but this story had a different feeling than my other Christmas-themed suspense novels. And I didn’t particularly like it. Lately my writing has taken on a different style so I started to think my days of writing suspense and mysteries might be numbered. As I thought about this story, I really thought that might be the case. So I prayed about it and did a little meditating on it as well. My conclusion, I would write the story God gave me and see what happened. Stories can change a great deal from the first draft to the final. Anyway…this morning as I was working out and listening to Joey + Rory’s Hymns album, I was inspired on how to fix the story so that it kept the Christmas spirit and still had suspense. God is an awesome God! Poetry Class is now in session! Why you might ask? I say why not. From time to time I’ll post a bio of a poet and hopefully inspire you to read a poem or two. This week’s poet is Emily Dickenson. Emily Dickenson was born on December 10, 1830 in Amherst, Massachusetts and is recognized as one of the most important American poets of the 1800s. Considered an eccentric by locals, she became known for her reluctance to greet guests or, later in life, to even leave her bedroom. Dickinson never married, and most friendships between her and others depended entirely upon correspondence. Less than a dozen of her nearly 1,800 poems were published during her lifetime. Dickinson’s poems are unique for the era in which she wrote; they contain short lines, typically lack titles as well as unconventional capitalization and punctuation Many of her poems deal with themes of death and immortality, two recurring topics in letters to her friends. Although Dickinson’s acquaintances were most likely aware of her writing, it was not until after her death in 1886—when Lavinia, Dickinson’s younger sister, discovered her most of her poems. YOUR TURN: Any thoughts about Emily or her poetry? Sandy Nadeau shares her writing journey with us today. It’s been nearly twenty years since I wrote my first book. To this day, it still sits in a drawer. There’s several reasons why, but the main one shall be my confession of the day. I hope it will help you as a writer to not make these kinds of mistakes. It is a romantic mystery set in Norway. I wanted to write something that went back to my family history. With great-grandparents by the names of Ole Olson and Nicolena Sven (I’m not kidding), my Norwegian heritage fascinates me. So why not write a book with it interwoven throughout. I worked hard on it, researching with this new internet thing to find all things Norway. Lots of books, encyclopedias, whatever I could find. I had always prayed to finish writing a whole book. And I did. (I’ve since advanced that prayer to say finish a book and get it published! Details.) I submitted that first book to every publisher I could find. Back in the day, you had to print out pages and pages of your hard work, stick it in a large envelope and MAIL it. With a self-addressed stamped envelope known as a s.a.s.e. I made a chart of where I sent it, when I sent it, when I heard, what I heard. That last column always said the same thing. Rejected. I did hear some positive feedback, one publisher almost bought it, but one little detail within the story was not plausible in their opinion, so yet another rejection. My biggest error in that first book, was not in what I wrote, but in what I accepted from others “in the know”. When I was told that it would take a lot of editing. I was crushed. Not that I thought I was a flawless writer, but I looked at it as, “I’m an awful writer”. I met with an agent wayyyyy back then at a conference. He read a little of it, called it fluff and basically dismissed me. I withered into a dark corner and cried. Once the initial pain was gone, I did some rewrites. Another time I met with an author at a conference and she was not nice to me at all. I was crushed again. It’s so hard to take opinion criticism. Constructive would be okay, but when it’s just their opinion…stop doing that. I’ve done a lot of pulling myself up by the proverbial bootstraps over the years. Just remember writers, it will happen. It comes down to thick skin which breeds determination. Maybe it’s my stubborn Norwegian roots. But it took me years to grow it thick. To understand I had to make it thick. One thing I didn’t understand back in those days, was that editing is only done to improve not to hurt. When we take it as hurt, take it personally, it cripples us and takes away our joy and self-esteem as a writer. Don’t do that. If only we could grow instant thick skin. Spray something on and wah-la! There ought to be a way for those that want to become an author. So the best I can do is tell you to try your best to grow it as soon as you possibly can. Surprising encouragement can also come along. At yet another conference, (remember that stubborn streak) I met with Tracie Peterson. Once I got over the huge bout of fan girl moments, that I was sitting right there next to THEE Tracie Peterson (I love her and her writing), we talked about my book. She was so encouraging and then the unthinkable happened. She wanted to take the entire manuscript back to the publisher. I believe I skipped for a week. I wish I could give a happy ending to that, but I can’t. It was rejected. It took a while, but ultimately rejected by the house. So it sits in a drawer, otherwise known as a deeply hidden computer file. I’ve tried reworking it a couple times over the years, but it’s still in hiding. However, since then, through stubborn determination, a LOT of years (I had a daughter to raise), I learned more, I sought answers, I grew thick skin, I stumbled onto the most amazing editor, I now have two different books not only written but published. I’ve learned how wonderful editors can make a story that you so strongly believe in and I welcome those edits. They have the same purpose. Make this book the best it can be. And even after all these years, I still needed heavy edits. So grow that skin and love the editors! You can do it. I know that for sure, because I did! Sandy Nadeau loves to go on adventures, photograph them and equally loves to write about them. She and her husband did a lot of four-wheeling in the back country of Colorado and shared those experiences with others by taking them up in the mountains. Her writing experience includes a community news column in a small newspaper for twelve years, magazine articles and two novels with adventure, mystery, romance, but most importantly sharing God’s love. She is currently a member of the American Christian Fiction Writers and has two books out. Married for a whopping 40 years, she and her husband are loving life as grandparents to their three grandchildren after the big move to Texas. Travel is their favorite thing to do and they don’t get to do it as often as they’d like. Adventure awaits around every corner, over every hill and mountain. You can connect with Sandy at: www.SandyNadeau.com or www.SandyNadeau.blogspot.com . 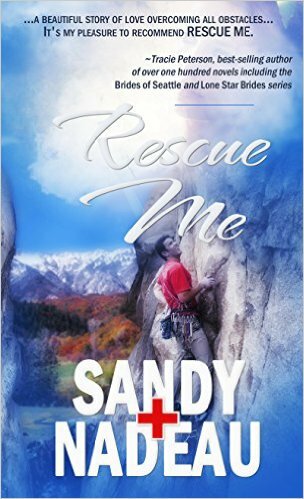 Her latest book is RESCUE ME. Thanks Sandy for sharing your writing journey with us. I remember those days quite well. A PRIMARY DECISION by Dr. Kevin Leman & Jeff Nesbit drew me into the characters’ lives and made me want to get to know them better. The story centers around the Worthington family, their dreams, their secrets, and their struggles. Wealthy and political, the Worthingtons are always in the news for one thing or another–sometimes for good and sometimes not so much. The patriarch of the family has set the bar high for his children. The main character of A Primary Decision is Sarah Worthington but the rest of her siblings have more than bit parts in this story of political intrigue as well as personal struggles as they all aim to be worthy of the Worthington name. I enjoyed the story and would recommend it but it’s not a political thriller if that’s what you enjoy. It’s well written but is a slower-paced story. In other words nobody’s running for their life or getting shot at but you don’t always need that in a story to make it a good read. And this one is definitely worth your time. 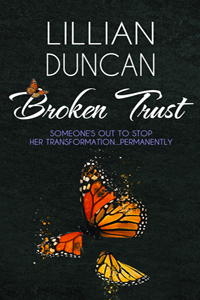 My latest book, BROKEN TRUST, will be releasing on March 17. To celebrate I’m giving away Amazon gift cards. There’s more info on that at the end of the post, but first…let’s talk about BROKEN TRUST. Life is all about choices…and consequences. Chryssie Mason longs to soar like a butterfly, but a lifetime of bad choices has kept her in the caterpillar stage. After years of struggling, her dreams are finally within her grasp. Her only goal is to graduate from nursing school so she can have a better life—so she can morph into a butterfly. With her final exam only days away, she witnesses a murder. A butterfly would call the police, but she decides to take the easy way out…once again. Life has taught her to never trust anyone, especially herself. With her freedom and her very life at risk, it’s time to trust. And that choice changes everything. 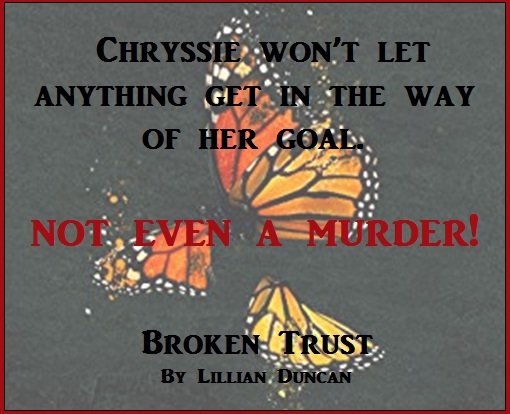 To celebrate the release of BROKEN TRUST, I’m giving away five $5 Amazon Gift Cards. All you have to do is leave a comment on this post or any of the other Broken Trust posts and you’re entered. Easy Peasy! And because I’m such a nice person, if you tell me that you’ve shared this post on Facebook, Twitter, or another social media site, I’ll give you a second entry. Last day to enter will be April 1–no fooling! Don’t know what to say–here’s a question: How do you choose a book to read–the cover; the title; the blurb about the book or something else?